Arnica is perhaps the most well known homeopathic medicine. Even those who do not understand what homeopathy is, have often heard of Arnica and the reason is simple….Arnica can produce oustanding healing with everyday injuries. The plant from which Arnica is made is comonly called Leopard’s Bane and is found on hillsides. It has been used effectively for centuries in its herbal form and like many herbs it has its share of natural toxins. Due to the methods used to prepare homeopathic Arnica (which means all toxins are removed) it’s healing properties can be used safely and to wonderful effect. So what can you use Arnica for? It is the NO 1 medicine for treating injury. This is because its sphere of action is on the blood vessels assisting healing and causing re-absorption of blood so preventing bruising and reducing inflammation. It also works by regulating the heart after injury and amazingly it works to stop internal and external haemorrage. The beneficial effects of taking Arnica are so transparent in use that if this is the only homeopathic medicine you use regularly, you will observe its healing properties again and again. Arnica is excellent for shock and trauma after injury. From the distress of a small child who has fallen over in the playground, to the serious shock of a person involved in a car accident. When someone is suffering from shock they may say that they are ok and then collapse later. Shock causes reduced blood flow to the brain and thus confusion. So if someone involved in an accident say they are fine then administer Arnica as this is a key symptom for the medicine! If you have a bruise, or a fall that will produce a bruise think Arnica! A bruise is caused by damage to the soft tissues that support the skin. Left to itself the area will go blue, purple and yellow whilst healing. GiveArnica after a bump andits affinity for soft tissue can prevent any swelling or rainbow colours appearing at all. 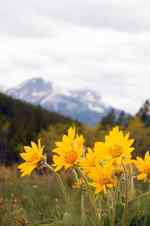 Arnica is also good for head injuries and concussion. If you do suspect concussion make sure you also obtain appropriate medical monitoring. Arnica is also ideal for surgery as it reduces swelling, brusing and pain. I use it 1 day before, the day of surgery, and 3-5 days after after surgery to get the most effective result. I also recommend Arnica straight after childbirth as it can start helping those swollen tissues to heal. Also because there is often an element of shock in the process for mother and baby. Old injuries can also respond well to Arnica…even those from years ago if the medicine is prescribed in the appropriate potency. Muscle fatigue (such as from digging your garden or over exercise) will be alleviated by Arnica and in this case as with surgery, you can take some Arnica beforehand as well as after. Use Arnica in the 30 potency every 4 hours to alleviate overworked bodies after flying longhaul. General Guidelines: Use Homeopathic Arnica in 6th, 30th and 200th potency. As a general rule give low potency (6 or 30) for minor bumps and injuries and 200th or M potency for serious accidents and injuries. Arnica is also available in sprays, gels and creams but do not apply it to broken skin as it can irritate. If you give Arnica then repeat it as needed but in the case of minor injuries, it is rare to need to re-dose for many days as it is so effective. To summarise, Arnica is the first homeopathic medicine to think of in the case of minor and major injuries, childbirth, surgery, muscle fatigue and jetlag. If you have not used it already then I would recommend that you go out and buy some Arnica 30 and put it in your bag. The first time you administer its healing properties you will be amazed!